I was approached by the developers and team behind Foliovision regarding their latest plugin offering. FV Player Pro. FV Player Pro is a WordPress plugin designed to improve the native experience for video in WordPress. From reading the site, their features are impressive – it seems to be something that integrates with both WordPress and services such as YouTube allowing you to brand and style YouTube videos. But what’s it actually like? 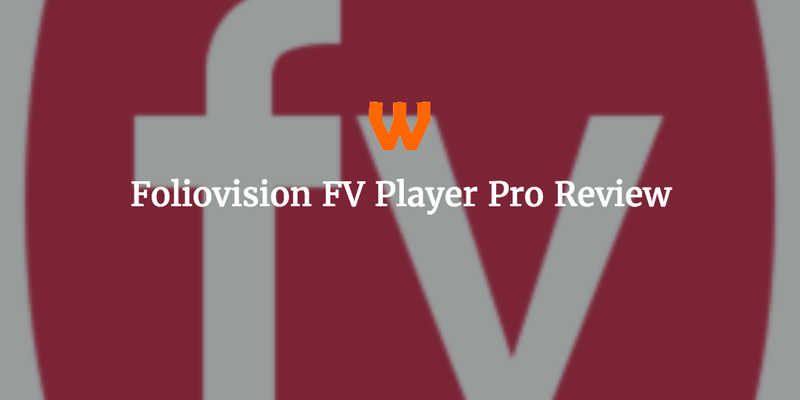 Here is our FV Player Pro WordPress Plugin Review. I was unable to test the plugin locally on my domain, which was a bit of a pain. As a result, when you buy a licence, you will probably have to use a staging URL that mimics your current site if you’re testing. It would be a great to somehow run the “Pro” licence in test mode locally, though not sure how though. I understand why, but – yeah – a bit annoying. Once activated the first screen you are taken to the FV Player screen. This screen will allow you to set your video options, the first screen simply details the on/off options which are numerous and quite dry, but well worth reviewing. However where the plugin picks up and becomes a bit more useful is the next screens. The first screen is the video styling screen. This will allow you to style your videos with particular styles in terms of the design, borders, progress bars as well as playlist designs and subtitles. This is done in a series of drop downs and colour pickers so you can match videos, including YouTube videos to your site’s branding. This is incredibly easy to do and so useful, and you can preview it right there in the design. The screen after concerns hosting. This allows you to change features associated with YouTube and Vimeo embeds, as well as integrations with CDN’s such as Amazon AWS and KeyCDN. Although I’ve not tested these tools as I don’t have the required setup, they seem fairly straightforward to set up. The next screen, actions, is really interesting. This will allow you to add to the end of videos various popups as well as a simple email collector you can import into something like Mailchimp. 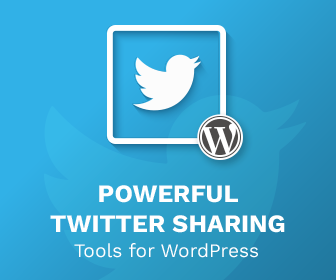 It also allows you to add your own Ad code, as well various integrations. You can also build popups, should you wish, to launch after the video has finished playing. Interestingly, the final section is quite a comprehensive Video Advert section. This will allow you to put adverts before or after your video. This is quite an interesting feature should you wish to offer video sponsorship or advertising. It isn’t the most complex but quite a welcome feature. One other feature, that’s in Pro but in Beta, is integration with Restrict Content Pro, to allow you to build either Pay Per View videos or a video course. This is a very interesting and exciting feature, one I would love to see develop over time. I’m only mentioning it here as at the time of the review it was still a bit basic and I didn’t have the correct equipment to test it, but I think going forward this could make this plugin a must have. So the main crux of this plugin is that when you first enter the post or page area of the site, you will see a button next to the Add Media button that will allow you to embed the FV Player onto the site. This pop up will allow you to add a video, give it a custom size, build a playlist as well as include a splash image custom to the video. You can then choose a pre-roll and a post-roll ad. Clicking “Insert” puts a shortcode into the post, that you can manipulate however you wish. At this point I decided to get silly and try to break the plugin. I did try various different video sites I knew, Vimeo and YouTube worked, WordPress.tv didn’t, but then again that’s me probably being very silly. Another thing? This plugin has amazing documentation on the site. This plugin is slick. Incredibly slick. Once you have it set up, this wrapper for video is great, and can really bring engagement on your videos. It can be a bit fiddly setting up, and there’s a few small display bugs here and there, but nothing major at all. I’m quite excited to see the further development of this plugin, particularly with the improvements surrounding Restrict Content Pro. This could see FV Player Pro as a market leader for years to come. Overall, FV Player Pro is a slick plugin for those who do serious video streaming on their site. 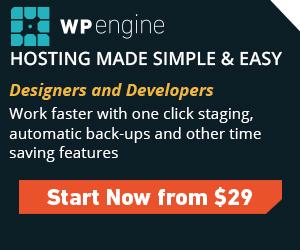 With in depth documentation, a slick interface and very little wrong with it, this plugin takes simple embeds or videos and actually begins to make them work for you. With video ads feature and the ability to capture email addresses, this is one plugin that – if you need it – you should get. Persist with the installation, it’s very simple to use after that.